Fresh petitions have been filed in the Supreme Court challenging the National Judicial Appointments Commission, by the Supreme Court Advocates on Record Association, Senior Advocate Bhim Singh and Senior Advocate Bishwajit Bhattacharya. The petition filed by SCAORA, through its secretary, Mr. Vipin Nair, and settled by Senior Advocate Fali S. Nariman, has challenged both the Constitution 99th Amendment Act, 2014 which introduces amendments to Article 124 and 217 of the Constitution of India and the National Judicial Appointments Commissions Act, 2014. The major contentions in this petition are the procedure involved in the passing of the two Bills. It has prayed for declaring the NJAC Act beyond the legislative competence of the Parliament, by declaring the 99th Amendment Act as unconstitutional. It further asserts that since the NJAC Act was introduced in the Parliament before the amendment of Article 124 of the Constitution of India, the NJAC Act was rendered null and void. 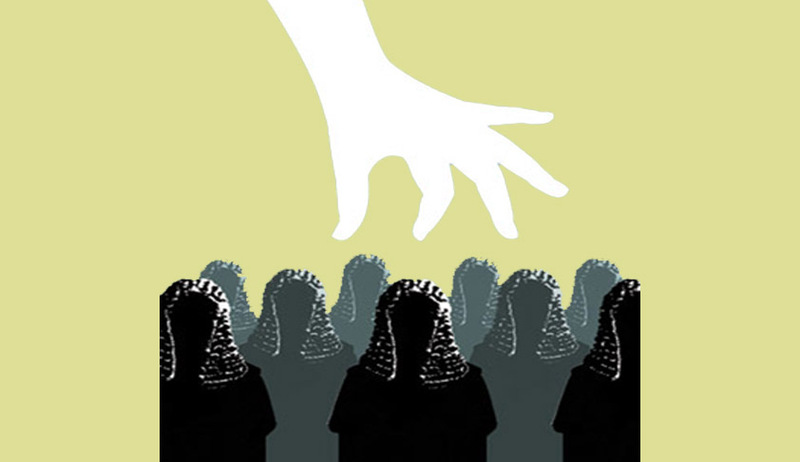 Further, it contends that the Act takes away the primacy of the Judiciary in the appointment of Judges, thereby violating the basic structure of the Constitution of India. This has reasoned on the ground that the Act, as passed by the two Houses of the Parliament, provides for a National Judicial Appointments Commission comprising of the Chief Justice of India and two other senior Judges of the Supreme Court next to the CJI, the Union Minister in charge of Law and Justice and two eminent persons to be nominated by a committee comprising of the Prime Minister, Leader of Opposition or leader of single largest Party in Lok Sabha and the CJI. Hence, it avers that such a procedure would take away the primacy of Judiciary in the appointment of Judges. The Petition filed by Senior Advocate Bishwajit Bhattacharya states that the Supreme Court was "the only institution in the country which is fiercely and independently upholding the interest of the common man. Any attempt to dilute or damage its independence must be thwarted, rebuffed and repelled with a heavy hand". The strongly worded petition states, "The sanctity, chastity of the Constitution and its basic structure cannot be permitted to be defiled, defaced and demolished by the executive acting in conjunction with the legislature in order to take over the function of the CJI and his senior colleagues to appoint and transfer Judges of HCs and the Supreme Court. That would destroy the doctrine of separation of power and the independence of the Judiciary”. He also brings to the fore, another provision according to which the NJAC shall recommend for appointment of the senior-most Supreme Court judge as the chief justice of India if he is "considered fit" to hold office. He contends that the word: “considered fit” drives the possibility of superseding the senior-most judge of the Supreme Court of India and preventing him/her from becoming the next chief justice of India. He concludes that such an approach “would severely compromise with the independence of judiciary”. Referring to the constitution of the NJAC, his petition further contends, "This clause gives veto power to any two (may be even two non-judicial members) to out-vote all the three judges of the Supreme Court put together" in appointments. Earlier in August, a three Judge Bench of the Supreme Court, comprising of Justice Anil Dave, Justice Chelameswar and Justice Sikri dismissed a batch of PILs challenging the 121st Constitutional amendment and National Judicial Commission Bill 2014, holding it is a “premature” challenge. However, on being specifically requested by senior advocate Fali S Nariman, who represented the AoR Association, the court had noted in its order that “it would be open to the petitioners to approach this court at an appropriate stage and make all submissions on merits”. It is this liberty granted to them by the Supreme Court, which is forming the basis for their renewed claim. Senior advocate Bishwajit Bhattacharya, who had earlier challenged the NJAC through a separate petition, still maintains the contention that since the cure seemed to be worse than the disease, it had to be challenged. Read the National Judicial Appointments Commission Bill, 2014 and The Constitution (One Hundred and Twenty-First Amendment) Bill, 2014, here. Read more news about the Bill here.